Quality education is the key to a successful future! However, the specialized courses offered by leading universities can burn a hole in your pocket. But, with MoneyTap you can get a personal loan to use as an education loan and focus on your studies and career. In addition to the regular education expenses, you will be aable to take care of other regular costs while you're studying with your MoneyTap credit line. Quality education is the key to a successful future! However, the specialized courses offered by leading universities can burn a hole in your pocket. But, with MoneyTap you can get a personal loan to use as an education loan and focus on your studies and career. In addition to the regular education expenses, you will be aable to take care of other regular costs while you're studying with your MoneyTap credit line. I wanted to take up a weekend Executive MBA program as I don't have time to attend regular college since I'm working. I used MoneyTap to pay the fees, and I was really surprised at how fast my credit line was approved. The flexible tenure and EMI options make it very easy to repay the loan. An EMI calculator for education loan lets you calculate your EMI amount online within a few seconds. It also allows to you modify the loan parameters to suit your requirements and preferences. Way of Financing Your Child’s Education! Rather than compromising on the university and the educational program, all you need is an education loan to fund your child’s education and save your savings for later. This way you won’t be cash-strapped and your child will be able to complete his or her education without any monetary hindrances. If borrowing for higher education, look at your career options wisely and the possibilities you may have after your course is complete, and judge if you would be able to get a job to pay off the loan. 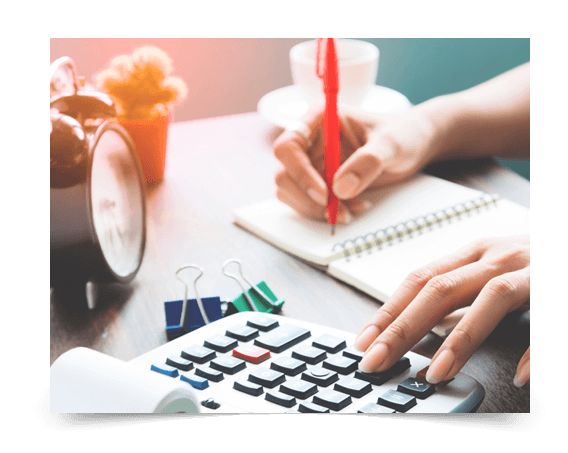 Calculate your budget and the loan amount you require at a given period of time. For parents, who haven’t saved enough for their kids’ education, plan for the repayment of the loan with EMIs that do not disturb your monthly expenses. Education loans are offered by banks to enable you to pay for your studies during undergraduate, graduate or vocational programs, both in India and abroad. Cost of books, uniforms, etc. If you have expenses other than the ones mentioned above, getting MoneyTap's personal line of credit makes sense. Costs during your studies which are recurring and are not covered by an education loan can be paid with a personal loan from your available credit line. How do I get an education loan in India? To get a student loan in India, you need to be admitted to your chosen course of studies and then apply for on paper or online. Will be required to have your parent, spouse or relative co-sign the loan in most cases. MoneyTap's line if credit is another option for an educational loan in India. You can apply for it if you're salaried and want to study further. Or, you can have your parent or spouse who is salaried apply for it as well. How to get an education loan from a bank? To get an educational loan from a bank, you will need to do your research and find a lender that best suits your needs and apply for the loan with a co-signer or with a collateral. What are the documents required for an education loan? What are the current student loan interest rates in India? The education loan interest rates vary from bank to bank and depend on the applicant and the amount of the loan. The education loan interest rates usually fall in the range of 8% to 15%. How does an education loan EMI calculator work? To calculate your education loan EMI, you need to enter the loan principal amount, tenure and rate of interest. You can also make use of MoneyTap's personal loan EMI calculator to find out your EMI amount. What are my education loan repayment options? Education loan repayments options will depend on the bank you borrow from. With MoneyTap, you have the flexibility to choose a loan tenure ranging from 2 months to 36 months to repay your education loan. How can I apply for an education loan from MoneyTap? You can apply for a MoneyTap education loan if you're salaried. If you are a student and are not earning, you can ask your parent/guardian/family member to apply for MoneyTap's personal line of credit from which you can use funds as a student loan. To apply for MoneyTap's loan, you need to download the app on your phone and fill in the required information to register. After the initial approval, submit the KYC documents and once verified, the amount will be transferred to your bank account. Should I take an education loan for abroad studies? Yes, it is a good idea to take an education loan for abroad studies. While banks and financial lending institutions offer education loans, not all education-related expenses are covered. Therefore, getting a personal loan for education also helps when in need.